Microsoft’s big product launch followed by a flurry of domain registration activity. 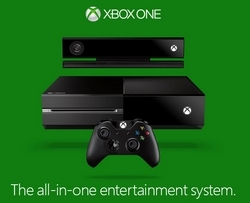 Yesterday Microsoft announced its latest video game console called XBox One. Immediately, cybersquatters went to work. Over 1,000 XBox One related domain names were registered in .com alone yesterday. To be sure, some of those registrations were by Microsoft itself. But the vast majority were by other parties hoping to capitalize on the latest video game system in the XBox franchise. Some will park the domains, others will create fan sites, and of course others will be used for scams. People registered a number of domains related to the console itself, as well as popular games that will come to the XBox, such as XBox1Halo.com and CallofDutyXBoxOne.com. The owner of EvilControllers.com, a site that sells modified game controllers, registered 13 domains related to mods including XBox1ModdedController.com, XBoxOneModz.com, and XBox1RapidFire.com. Where do you want to buy your XBox One? A North Carolina man registered 18 domains in the format of XBoxOne-StoreName, such as XBoxOne-Kmart.com, XBoxOne-Amazon.com, and XBoxOne-BestBuy.com. One person is even betting the next XBox console will be called XBox Two. That doesn’t make much sense to me, but a New Hampshire man registered 17 domains including XBoxTwoRumors.com and FreeXBoxTwo.com. When the latest XBox service is inevitably hacked, someone using a whois proxy service is already prepared with XBoxOneHacked.com. Cybersquatters are a creative bunch. At around $100,000 fine per domain, I suppose it’s safe to assume these folks do not have to plan for retirement. I suppose cybersquatting does have it’s respective perks. Round up the legal team guys. For those wanting to compete in this new lucrative, Internet TV, market without typo squatting we are currently taking offers on the InternetTVdevices.com domain name. There are several things that companies in such situations can do. However, the problem needs to be viewed correctly. Registration of a domain (or pursuing a UDRP for one) just “because” it incorporates a mark is illogical. A registered domain containing a trademark is only an issue if there is traffic. If there is no traffic then it is the same as someone yelling “Xbox One” out their window adjacent to a busy street. No one will notice. There is no need to pursue each and every such event. First, the obvious, register the many variations. Test them for a short period for traffic and if there is no traffic then drop them. If there is traffic then the domain itself is earning revenues for them. As for the costs of implementing #1, tm holders should never have objected to tasting IMHO. They could have used it to their own benefit. They could still accomplish much the same thing through agreements with the various registries. Second, if you do not wish to pursue Option 1 then they should open an affiliate program themselves so that they can be assured to receive all traffic/revenues. Yes, both of the above imply a cost to Microsoft. However, so does enforcement. As distasteful as it may be, the situation can only be seen from the point of view of which process is the most economically beneficial to the company. The fact that the vast majority of domains won in UDRPs are subsequently allowed to expire renders a conclusion that tm holders still have no idea how to deal with the situation. They are victims of the legal staffs who ring the alarm bells but do not coordinate with marketing to ensure that the legal expense is justified or that the benefit of a successful outcome is maximized. And, don’t even get me started on those UDRP complainants who seek cancellation as a remedy. And yes, the ACPA is an alternative. However, history has shown that most judgments remain uncollected which renders the legal expense of litigation all the more irrational.